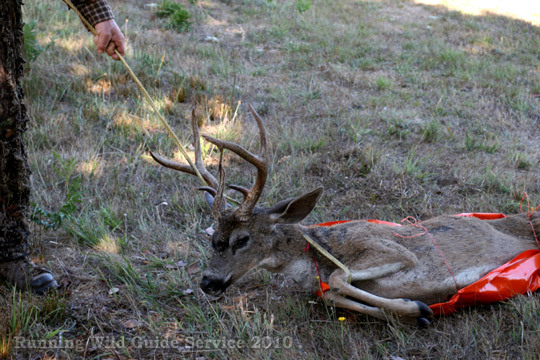 Thank you to TJ Birman of the Running Wild Guide Service of beautiful Sonoma County, California. His team took this great video for us of TJ using the Game Glide. They hunt wild hogs and deer in the beautiful hills of Sonoma County where ATVs and game carts are not permitted. The Game Glide deer sled is a perfect match for them! In the video you will see how TJ uses his existing rope deer drag with the Game Glide on the deer. TJ also offers up some great tips that he likes to use when using the deer drag sled. Turkey and Deer hunting in a mix of wild land and agriculture in Northern California’s Wine Country. 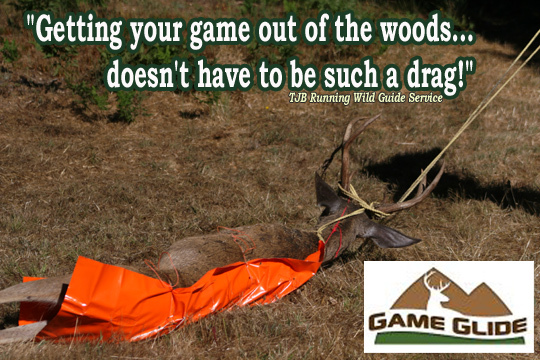 Whether you bow hunt or rifle hunt, we have land and game for you. All fair chase, no dogs, no bait, and no blinds. Real hunting for real game running wild!